Asian Institute of Medical Sciences extends its services in the field of Psychiatry and De-addiction Centre for excellent care of the pattients with mental health problems. 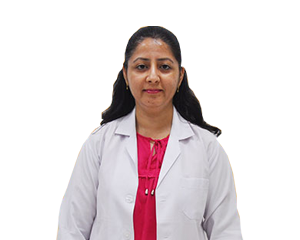 The department of Psychiatry and De-addiction Centre is headed by Dr. Minakshi Manchanda who has valuable experience of working at PGIMS, Rohtak, AIIMS and Lady Harding Medical College. 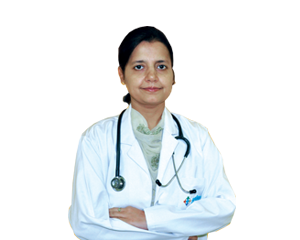 She is skillfully supported by a team of highly experienced nursing staff. The department offers convenient inpatient and outpatient services along with a number of specialized clinics for people with mental health problems. A disabling disease causing problems like reduction in quality of life and loss of general functioning. Depressed mood and loss of interest are key symptoms. Around 2/3rd of patients contemplate suicide and 10-15% commit suicide. The most prevalent mental disorder. Palpitaiton, sweating, headache, diarrhoea, breathlessness and awareness of being nervous are some common symptoms of anxiety. There are episodes of increased heart rate, shaking, shortening of breath, feeling of choking, chest pain, nausea, dizziness and fear of dying. Excessive fear of a specific object, circumstance or situation. It can be social phobia or specific phobia. Recurrent or repetitive thoughts, rituals, preoccupations and compulsions which cause severe distress to the person and family. Symptoms are difficulty in initiating or maintaining sleep or excessive sleep. A disorder characterized by a breakdown of thought processes and by poor emotional responsiveness. It most commonly manifests itself as auditory hallucianations, paranoid or bizarre delusions or disorganized speech and thinking and it is accompanied by significant social or occupational dysfuction. Child guidance clinic – ADHS, hyper-activity, conduct disorder, mental retardation, learning disorders, oppositional defiant disorder, learning disorder. Feriatric psychiatry – depression, dementia, anxiety, psychosomatic disorder, adjustment to ageing.